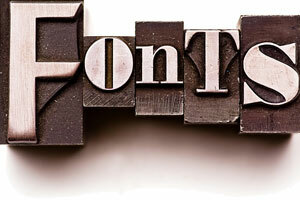 In the typography industry, each typeface, or font family, comprises one or more fonts. Each font in a font family is composed of glyphs that share common design features. (In a typography context, a glyph is a graphic symbol that forms the appearance of a specific character). Each font within a typeface is designed by a specific designer or foundry and has its own condensation, italicization, and ornamentation parameters as well as specific slant, style, weight, and width characteristics. US flight delays: What are passengers&apos; rights with severe disruption of Delta, United and Southwest flights? Simon Calder. The Independent. Monday, 01 Apr 2019 13:48:00 +0000. Computer scientists at Columbia Engineering have developed a system dubbed FontCode, which works by altering the shape of font in a text in a way that is imperceptible to the reader . Daily Mail. Friday, 11 May 2018 19:49:54 +0100. On the World Wide Web, a limited set of fonts — including Arial, Courier, Georgia, Times New Roman, and Verdana — is available to virtually all web browsers. This list of twenty-seven popular fonts includes links to font sample pages. Each font sample page illustrates a specific font family, in multiple font sizes, in both normal and bold font weights. Every letter of the alphabet is included in the illustrative sentence. Note that some of these fonts are unavailable on certain computing devices; web browsers will typically replace an unavailable font with a similar, available font. The following samples illustrate twenty-seven popular fonts in their normal font weights. Arial MT The quick brown fox jumps over the lazy dog. Comic Sans MS The quick brown fox jumps over the lazy dog. Franklin Gothic Medium The quick brown fox jumps over the lazy dog. Gadget The quick brown fox jumps over the lazy dog. Geneva The quick brown fox jumps over the lazy dog. 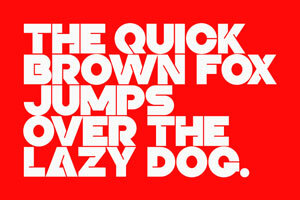 Gill Sans The quick brown fox jumps over the lazy dog. Lucida Console The quick brown fox jumps over the lazy dog. Lucida Grande The quick brown fox jumps over the lazy dog. Lucida Sans Unicode The quick brown fox jumps over the lazy dog. Optima The quick brown fox jumps over the lazy dog. Sans Serif The quick brown fox jumps over the lazy dog. Tahoma The quick brown fox jumps over the lazy dog. Trebuchet MS The quick brown fox jumps over the lazy dog.